Metallica will release their eleventh studio album, Hardwired…To Self-Destruct, on November 18th, via Blackened Recordings. The 2 CD / 2 Vinyl set is the Grammy® Award winning Rock and Roll Hall of Fame inductee’s first studio album since 2008’s multi-platinum Death Magnetic. 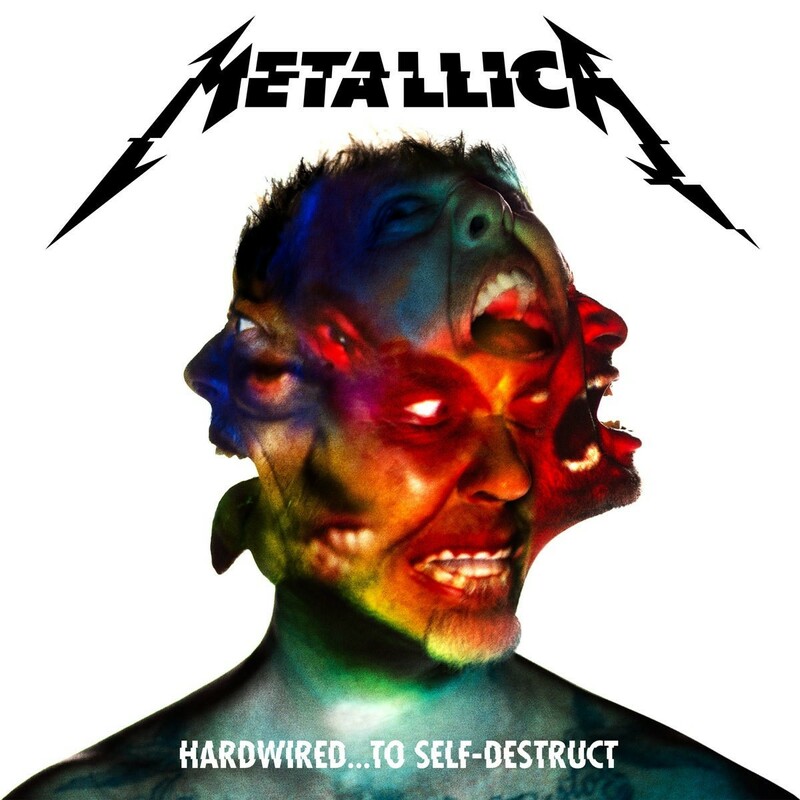 Hardwired…To Self-Destruct is available for pre-order at www.Metallica.com starting today in various configurations including: CD, Vinyl, Digital, Deluxe, and Deluxe Deluxe Versions. The album is produced by Greg Fidelman, who engineered and mixed Death Magnetic. 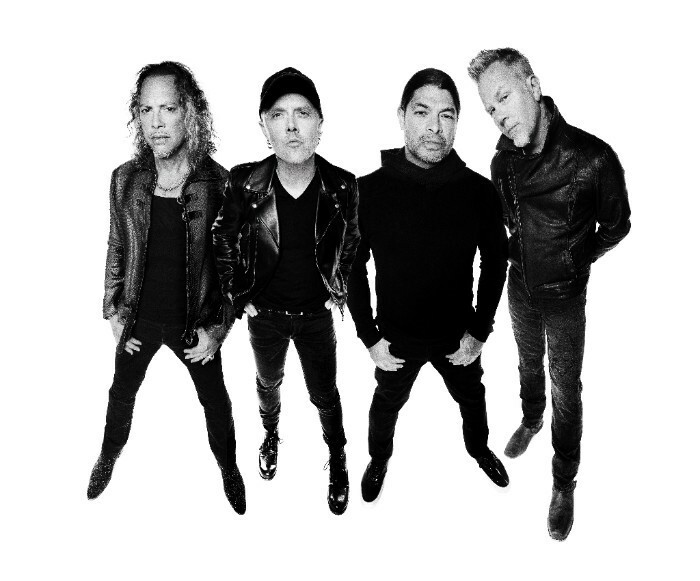 “Hardwired,” the first track to be released from the forthcoming album was played for the first time earlier today during a live remote broadcast from Metallica’s HQ in the Bay Area. During an interview with Minneapolis rock station 93X discussing the band’s performance at U.S. Bank Stadium on August 20th, Lars Ulrich stunned 93X’s Pablo by unleashing the incendiary song for the first time, much to the surprise (and delight) of the station, as well as fans around the world. “Hardwired” will be delivered as an instant download to fans who preorder the album. Metallica also premiered the official video for “Hardwired” today. The clip can be viewed HERE. Metallica will perform this Saturday, August 20th, at U.S. Bank Stadium — the new home of the Minnesota Vikings. The band’s performance will be the first rock concert at the venue and tickets sold out in less than 10 minutes. Fans can tune in from home via a Pandora live stream beginning at 10 pm EST at http://pdora.co/metallicalive. Individual songs from the concert will also spin on Pandora. To listen, log in to your Pandora account or create a new one for free if you live in U.S., Australia or New Zealand. Fans outside of those countries can access the live stream at www.livemetallica.com. Additionally, in celebration of Saturday’s performance, the band will be launching the official Metallica Pop-Up Store in Minneapolis this weekend. The store will have exclusive show merchandise and items not available anywhere else (including inside the stadium) as well as a wide selection of classic Metallica merch. The Metallica Pop-Up Store will be located at 401 2nd Ave North and open on Friday, August 19th from 10:00 AM – 11:00 PM and Saturday, August 20th from 9:00 AM to 6:00 PM. Stay tuned for more details on Hardwired…To Self-Destruct in the coming weeks.